The saga continues … faceless, nameless entities continued to funnel information to the SEMG and Eritrea is asked to disprove the allegations. Political horse-trading, equivocation, and/or lame excuses should not be rule of the game this time round. Although Ethiopia and its handlers continue to tout it as an “African Initiative”, with the release of the WikiLeaks American Embassy documents, the behind the scenes shenanigans of the Ethiopian regime and the US Mission in New York have been exposed. “…Dr. Tekeda called in the P-5 Ambassadors on June 18 and summarized the recent IGAD trip to the UN as having made progress in gaining UNSC support for the IGAD and AU call for sanctions on Eritrea, but concluded that more work was necessary. Tekeda met with special Africa Advisor Bruno Joubert in Paris and Somalia experts in London. In New York, TFG Foreign Minister Omar, along with Ambassadors assigned to the U.N. from Djibouti, Uganda, and Kenya, joined Tekeda in meeting the UNSC representatives. “…Ethiopian FM Seyoum and his deputy, Dr. Tekeda, on July 7 called in the Ambassadors from the P-5 to urge them to convey to their capitals the urgency of supporting sanctions against Eritrea. Seyoum noted that Tekeda, who led an Intergovernmental Agency for Development (IGAD) delegation to New York in June, was told by the UNSC that the IGAD resolution calling for sanctions on Eritrea would hold more weight if the African Union was also supportive because IGAD only represented East Africa, and some of its members had differences with Eritrea. “…Dr. Tekeda stressed that the threat of sanctions against senior Eritrean officials had a clear chilling effect in Asmara. Dr. Tekeda specifically noted the Sanctions Committee’s consideration of Yemane Gebreab as being a critically important move. Whilst there were many accusations against Eritrea coming from Ethiopia and its surrogates, there has never been any independently verifiable evidence provided to substantiate any of their allegations. There were many fair individuals who disagreed with the narrative on Eritrea and Ethiopia managed to have them removed or else had their voices muffled. As this author has stated several times in the past, the minority regime in Ethiopia and its cadres, are persons who are themselves involved in the criminal milieu that defines Somalia today, and can hardly be considered to be credible sources and yet, the SEMG continues to rely almost entirely on the Ethiopian regime to build its case against Eritrea. In four consecutive reports, the SEMG has said that it had found no evidence to support the allegations that Eritrea supported Al Shabbab in Somalia, yet its mandate was prolonged and with it the sanctions on Eritrea. So, the saga continues… faceless, nameless entities funnel information to the SEMG, Eritrea is asked to disprove the allegations…. 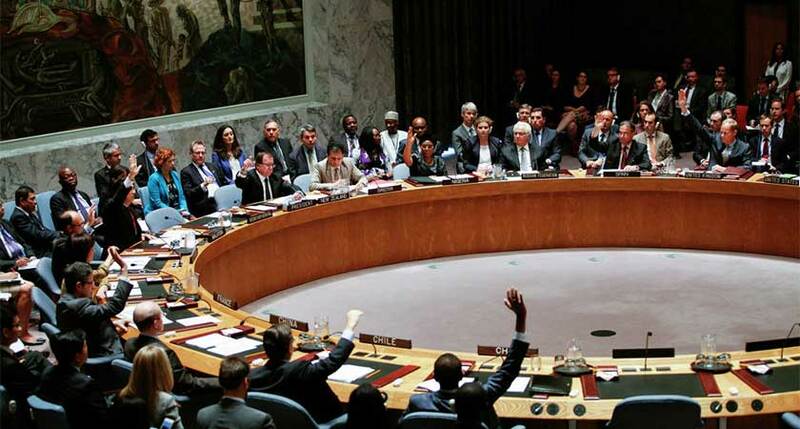 the merry go round and moving goal posts continue… so much for the credibility, integrity and efficacy of the UN Security Council – now reduced to serving as a bully pulpit to advance ulterior political agendas of the powerful veto wielding minority and their allies.